I never did discover what this was all about - but as no dead bodies fell from the window, presumably all was well! Just life as it goes on in Naples, the most amazing place. Another great image from Italy. I adore uncontrived photos of life as it happens around us. 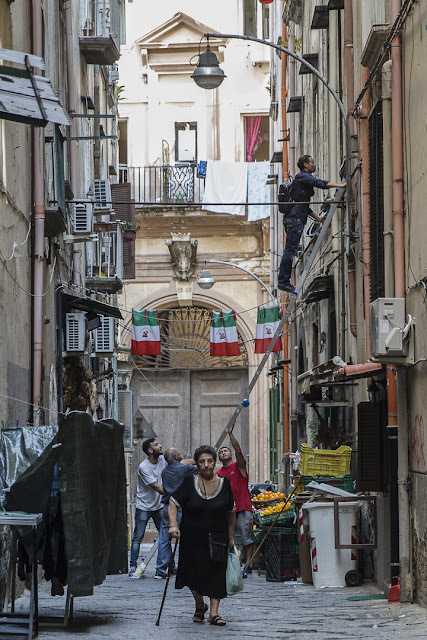 I hope you are going to put your Naples images in a collection for the rest of us to appreciate en masse. Only been there once, but i remember it as a fantastic city. One wonders! A good candid shot.